The priority of the wider international community is to reconcile the needs and interests of individuals, communitie,s and nations within an equitable framework based on open borders, free markets and sustainability. But where disruption brings a sense of dislocation, political forces that emerge from it offer closed borders, the protection of traditional jobs, and the promise to put the interests of today’s generation over those of the future. In these times, we can no longer teach people for a lifetime. In these times, education needs to provide people with a reliable compass and the navigational tools to find their own way through an increasingly complex and volatile world. As future jobs will pair computer intelligence with human knowledge, skills, character qualities, and values, it will be our capacity for innovation, our awareness, our ethical judgement, and our sense of responsibility that will equip us to harness machines to shape the world for the better. 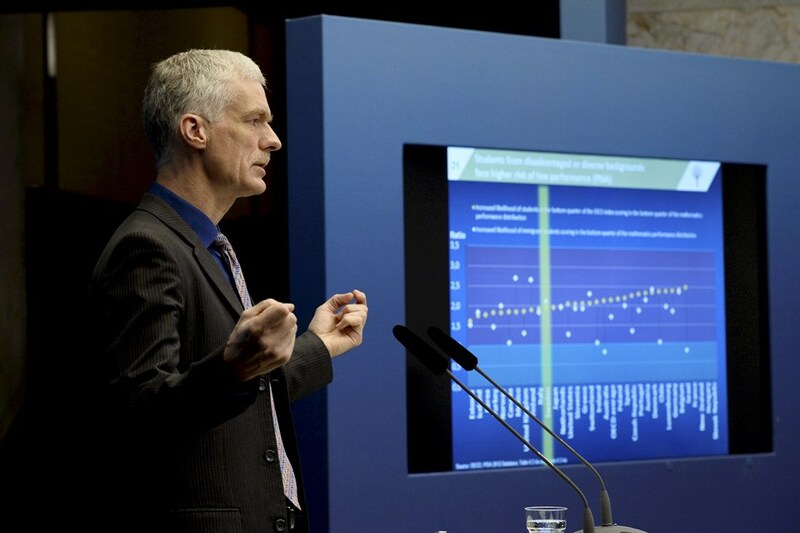 This has been the main impact of the Organisation for Economic Co-operation and Development (OECD) countries working on a new framework for curriculum design, referred to as “Education 2030.” Not surprisingly then, schools increasingly recognize the need for fostering ethics, character, and citizenship, and aim to develop a range of social and emotional skills, such as empathy, compassion, mindfulness, purposefulness, responsibility, collaboration, and self-regulation. In their Education 2030 framework for curriculum design, OECD countries placed creating new value, dealing with tensions and dilemmas, and developing responsibility at their center. Creating new value, as a transformative competency, connotes processes of creating, making, bringing into being, and formulating; and outcomes that are innovative, fresh, and original, which contribute something of intrinsic positive worth. It suggests entrepreneurialism in the broader sense of being ready to venture, to try without anxiety about failure. The constructs that underpin the competence are imagination, inquisitiveness, persistence, collaboration, and self-discipline. Young people’s agency to shape the future will partly hinge on their capacity to create new values. Young people’s agency to shape the future will partly hinge on their capacity to create new values. This is a challenge for Turkey, where student performance on tasks relating to the reproduction of subject-matter content is quite good, but where The Programme for International Student Assessment (PISA) reveals great weaknesses among Turkish students in their capacity to extrapolate from what they know and apply this knowledge creatively in novel situations. For example, memorization strategies are still prevalent among Turkish students in PISA, but these are predictive only for performance of tasks with relatively limited complexity, precisely those tasks which are increasingly at risk of automation and digitalization. This is a decisive disadvantage in the modern world which no longer rewards students solely for what they know – Google knows everything – but for what they can do with what they know. It will require changes in the instructional environment where students have more control and ownership over the time, place, path and pace of learning. Moreover, in a structurally imbalanced world, the imperative of reconciling diverse perspectives and interests in local settings with sometimes global implications, will require young people to become adept in handling tensions, dilemmas and trade-offs. Striking the balance, in specific circumstances, between competing demands – of equity and freedom, autonomy and community, innovation and continuity and efficiency and democratic process – will rarely lead to an either/or choice or even a single solution. Individuals will need to think in a more integrated way that avoids premature conclusions and attends to interconnections. The constructs that underpin the competence include empathy, adaptability, and trust. Contrast this with the most recent PISA results where Turkey’s 15-year-old students did considerably worse in collaborative problem-solving than in their individual reading, math, and science knowledge and skills. The third transformative competency is a prerequisite of the other two. Dealing with novelty, change, diversity, and ambiguity assumes that individuals can think for themselves with a robust moral compass. Equally, creativity and problem-solving require students’ capacity to consider the future consequences of one’s actions, to evaluate risk and reward, and to accept accountability for the products of one’s work. This suggests a sense of responsibility, and moral and intellectual maturity. These are qualities with which a person can reflect upon and evaluate their actions in light of their experiences, goals, on what they have been taught and told, and on the difference between right and wrong. The perception and assessment of what is right or wrong, good and bad in a specific situation is about ethics. It implies asking questions related to norms, values, meanings, and limits. Central to this competency is the concept of self-regulation, in the spheres of personal, interpersonal and social responsibility, drawing on constructs of self-control, self-efficacy, responsibility, problem-solving and adaptability. The challenge is that developing these qualities requires a very different approach to learning and teaching, as well as a different caliber of teachers. Where teaching is about imparting prefabricated knowledge, countries can afford low teacher quality. And when teacher quality is low, governments tend to tell their teachers exactly what to do and exactly how they want it done, using an industrial organization of work to get the results they want. Today the challenge is to make teaching a profession of advanced knowledge workers who own their profession and who work with a high level of professional autonomy and within a collaborative culture. Education is still far from a knowledge industry in the sense that its own practices are being transformed by knowledge. However, such people will not work as exchangeable widgets in schools organized as Tayloristic workplaces that rely mainly on administrative forms of accountability and bureaucratic command and control systems to direct their work. To attract the people they need, modern school systems need to transform the form of work organization in their schools to a professional form of work organization in which professional norms of control replace bureaucratic and administrative forms of control. The past was about received wisdom, the future is about user-generated wisdom. This is in sharp contrast to the medical profession where people enter their professional lives expecting their practice to be transformed by research. Medical doctors would not think of themselves as professionals if they did not carefully study the most effective procedures so far developed to deal with the presenting symptoms. Indeed, their sense of themselves as professionals comes in large measure from their deep knowledge of a wide range of presenting symptoms, their capacity to successfully diagnose a patient with those symptoms, and their capacity to identify and execute the most effective procedures available for the treatment of the diagnosed problem. A century ago, a surgeon would, like a teacher, manage his or her job with a limited set of tools and the knowledge acquired during his or her studies. Today, the surgeon is embedded in a profession that continually transforms itself through global research and development, with knowledge developed in one part of the world spreading rapidly and being absorbed globally. He or she works in a sophisticated technological environment, exchanges ideas and experiences with other parts of the professional community, and manages his or her work in a team. PISA reveals great weaknesses among Turkish students in their capacity to extrapolate from what they know and apply this knowledge creatively in novel situations. In the past teachers and content were divided by subjects and students separated by expectations of their future career prospects. And the past could be isolated – with schools designed to keep students inside, and the rest of the world out, with a lack engagement with families and a reluctance to partner with other schools. The future needs to be integrated, with an emphasis placed on the integration of subjects and the integration of students. It also needs to be connected – so that learning is closely related to real-world contexts and contemporary issues and open to the rich resources in the community. Powerful learning environments are constantly creating synergies and finding new ways to enhance professional, social, and cultural capital with others. They do that through families and communities, higher education, businesses, and especially through other schools and learning environments. This is about creating innovative partnerships. Isolation in a world of complex learning systems will seriously limit the potential of school systems. While instruction in the past was subject-based, instruction in the future needs to be more project-based, building experiences that help students think across the boundaries of subject-matter disciplines. While the past was hierarchical, the future is collaborative, recognizing both teachers and students as resources and co-creators. In the past, different students were taught in similar ways. Now school systems need to embrace diversity with differentiated approaches to learning. The goals of the past were standardization and compliance, with students educated in age cohorts, following the same standard curriculum, all assessed at the same time. The future is about building instruction from students’ passions and capacities, helping students to personalize their learning and assessment in ways that foster engagement and talents, and it’s about encouraging students to be ingenious. School systems need to better recognize that individuals learn differently, and they learn at varying paces at different stages of their lives. They need to foster new forms of educational provision that take learning to the learner in ways that allow people to learn in the ways that are most conducive to their progress. We need to take to heart that learning is not a place but an activity. As well as countering educational disadvantage, this will capitalize on the strengths of the most talented students. In the past, schools were technological islands, with technology often limited to supporting existing practices, and students outpacing schools in their adoption and consumption of technology. Now schools need to use the potential of technologies to liberate learning from past conventions and connect learners through new and powerful ways, with sources of knowledge, with innovative applications and with one another. While instruction in the past was subject-based, instruction in the future needs to be more project-based. In the past, the policy focus was on the provision of education. Now it needs to be focused on the outcome, shifting from looking towards higher levels in the bureaucracy towards looking outwards to the next teacher, the next school, and the next education system. In the past, administrations emphasized school management, now the focus needs to be on instructional leadership, with leaders supporting, evaluating, and developing teacher quality and the design of innovative learning environments. The past was about quality control, the future is about quality assurance. The challenge lies in facilitating such a system transformation. It cannot be built solely from the ground, nor should it be mandated by governments, which leads to surface compliance. Governments – as brokers, stimulators, instigators – can play an important role in helping to build and communicate the case for change and articulate a guiding vision for 21st century learning. They can focus resources, set a facilitative policy climate, and use accountability and reporting modifications to encourage new practices. But education around the world needs to better identify key agents of change and to champion these agents and to find more effective approaches for scaling and disseminating innovations. That is also about finding better ways to recognize, reward, and give exposure to success. In other words, to do whatever is possible to make it easier for innovators to take risks and encourage the emergence of new ideas. These challenges are daunting for many countries, but the overall progress which Turkey has achieved over the last decade in raising access and improving quality suggests that the country is ready to take the next step towards building a 21st century education system that ensures that the next generation is learning for their future, not for our past. 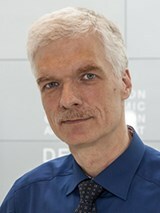 Andreas Schleicher is the Director for Education and Skills at the Organisation for Economic Co-operation and Development (OECD) based in Berlin, Germany.